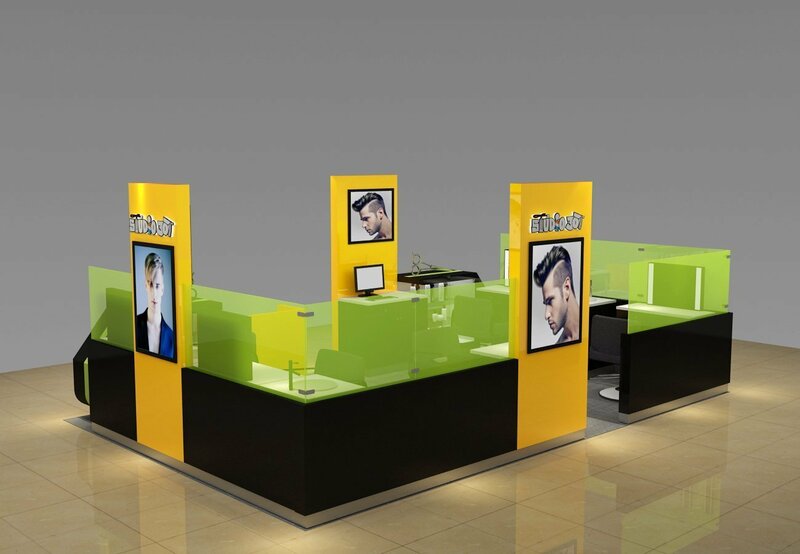 This is a newly modern design barber shop kiosk design used for indoor. Men hair cutting business is always considered as a safe investment for new startup . Men hair cutting shop is quite different from women’s . Men barber shop kiosk is service fast hair cutting. However ,Women will spend a lot of time on hair cutting or hairdressing. That means barber shop in mall are only for men hair cut business. It’s not suitable for women hair cutting. In fact ,if you really want to start a women hair business ideas in mall, there are nice business ideas you can try . 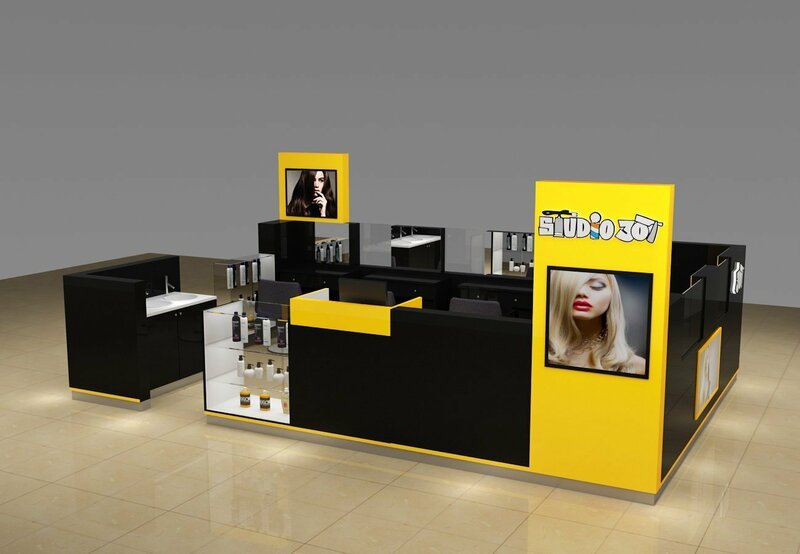 One is women hairdressing kiosk in mall . another is women wig retail kiosk in mall. 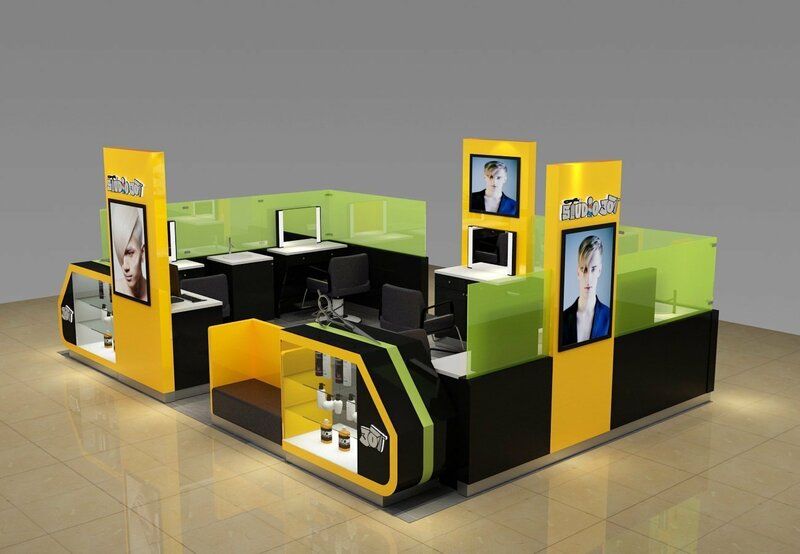 Today share a nice barber shop kiosk design . This is quite a beautiful barber kiosk in mall with 4 work stations for sale. This workstation is different from display counter or retail counters . When you involve in hair cutting business ,you will find those work stations is important in a barber kiosk. For a berber , he has many equipment and scissors to put inside and easy for use. 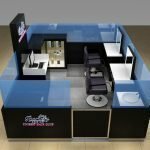 Unique kiosk is a professional mall used barber shop kiosk manufacturer . 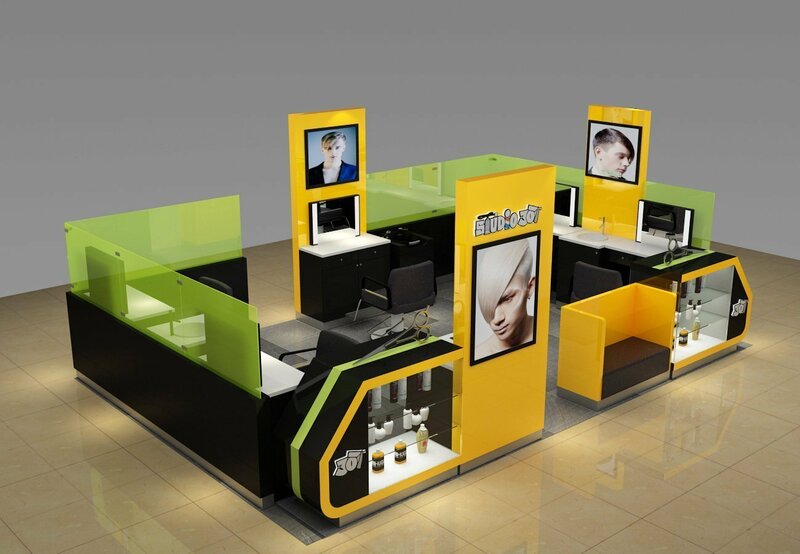 We design and build customized barber kiosk in mall for sale. 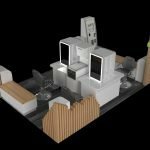 and provide best barber kiosk design idea. Check our design blow to get more information. For many detailed quotation,pls let us know the actual size you need,because our price are depend on the size of the kiosk you ask for and the material,different size,different price.Give me you size.Then I will make a quotation in the best price to you. If you have on ideaof the size you need,just contact me freely,we have a design team,we can make design or decoration for you. Maybe you don’t like the color of this kiosks,and the size of it isn’t you want. For this point,don’t worry about it.All our kiosk 3D design are customized for your requires. 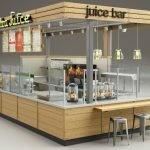 Our company has all kinds of product and we can make any kiosks you need. No matter which color and what you want. We make it only for you as you tell me you requirements. 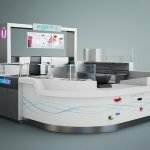 Unique kiosk is a designer and manufacturer, so we can produce kiosks to meet your real needs. so,contact me for putting your ideas into the real kiosks right now!